Some times you want to eat everything in sight. Chips, candy, chicken wings, chicken wings, and a lot of cheese. Some times you just want a salad. Last night I opted for the second option and decided to get creative. 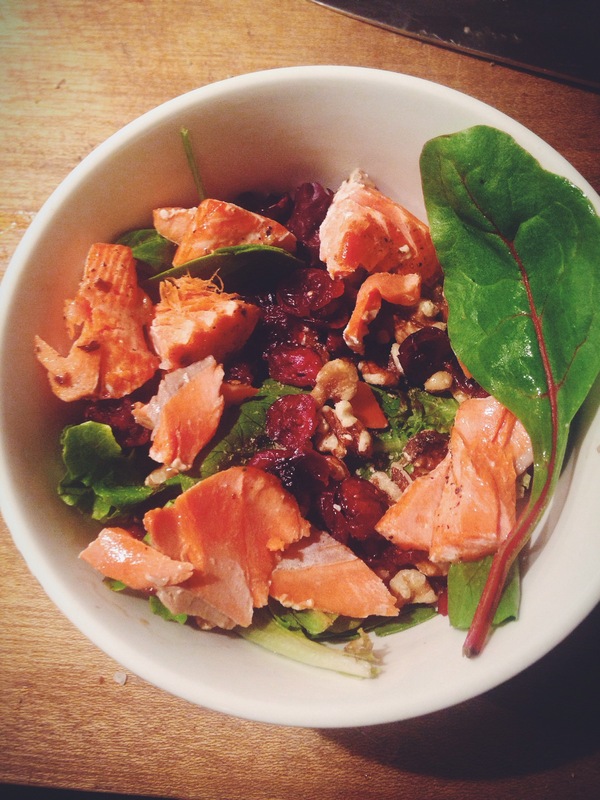 A maple salmon cranberry walnut salad sound good to me! Cook your salmon with a little S&P and then drizzle on a little maple. Assemble your salad by combining your greens, walnuts and cranberries. To make your dressing combine 2 parts balsamic vinegar to 1 part maple. Finish by topping with your salmon and feta. It’s so tasty and all the flavours mix together perfectly! !